The 12-Weekend Photography Camps for kids is a thrilling and immersive exploration of digital photography. Over the course of 12 consecutive Saturdays during the school year, kids have the chance to be creative while learning the technical and aesthetic tools of photography on digital cameras. Along with in-class exercises utilizing natural light, students will go out on location for photo shoots. Students are provided with a digital camera to use for this camp with manual functions, and will learn to edit the images they create on Adobe editing software under the leadership of working industry professionals. 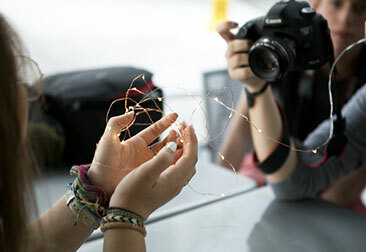 Our photography students are encouraged to be creative as they explore the tools and visual language of photography. A graduation ceremony is held at the completion of the program, including a slideshow of the students’ best 3-5 shots. All graduating campers take home a NYFA flash drive with their portfolio. 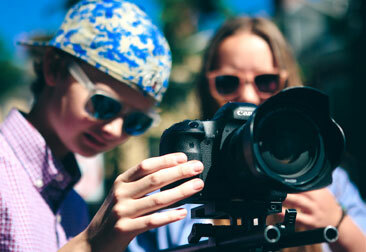 Click here to learn more about the application process for our 12-Weekend Photography Camp for Kids.